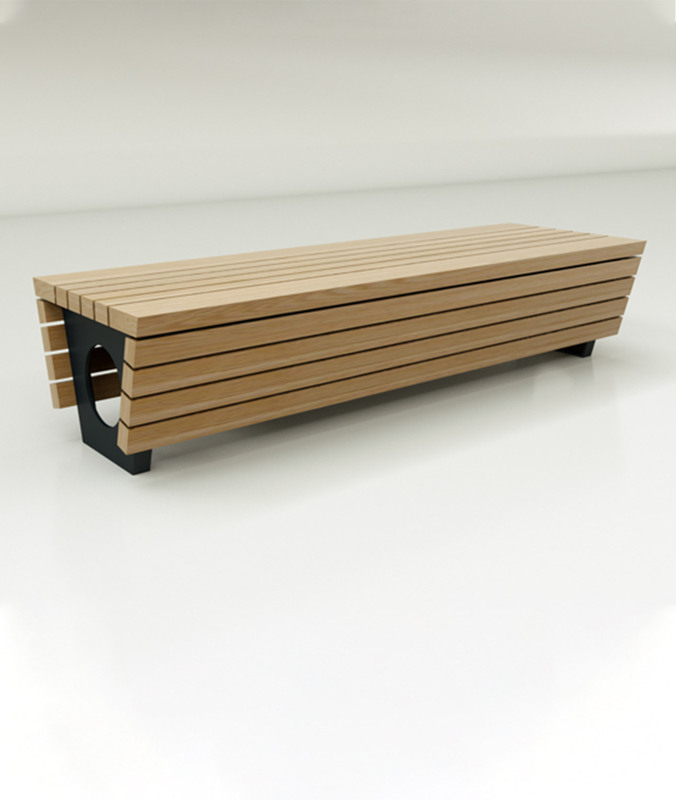 The Slab Side Bench is a contemporary seat designed for the most demanding of environments. The solid steel sides are tapered to the ground and the heavy section timbers give a durable feel. 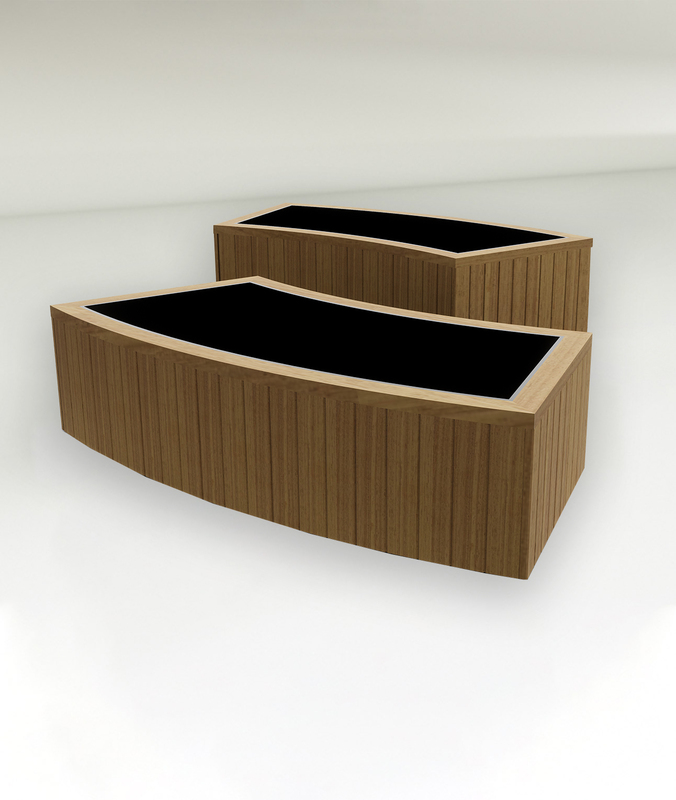 The generous timber sections are tapered for comfort and water run off. 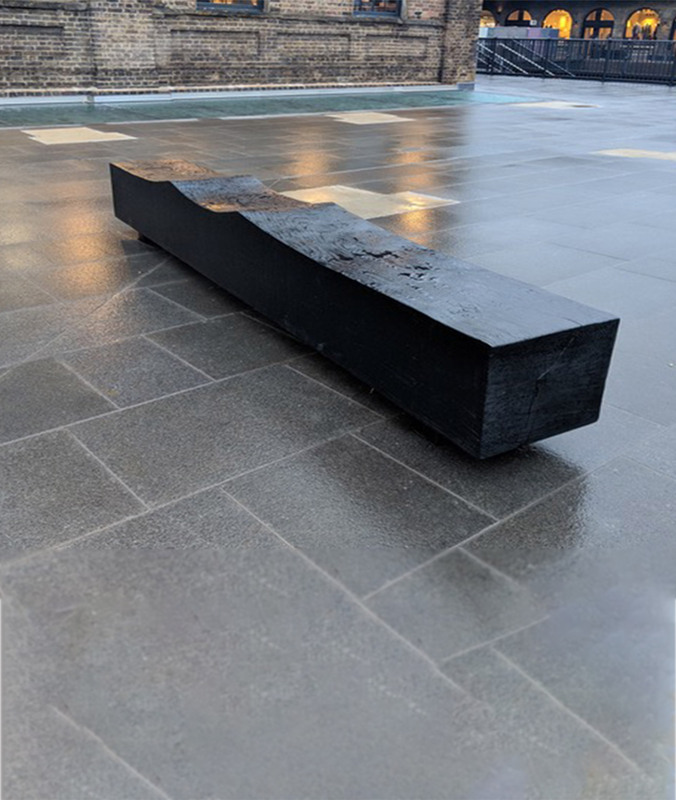 The base is constructed from 10mm steel and comes in a range of finish options including powder coat, hot dip Galvanized or stainless steel. 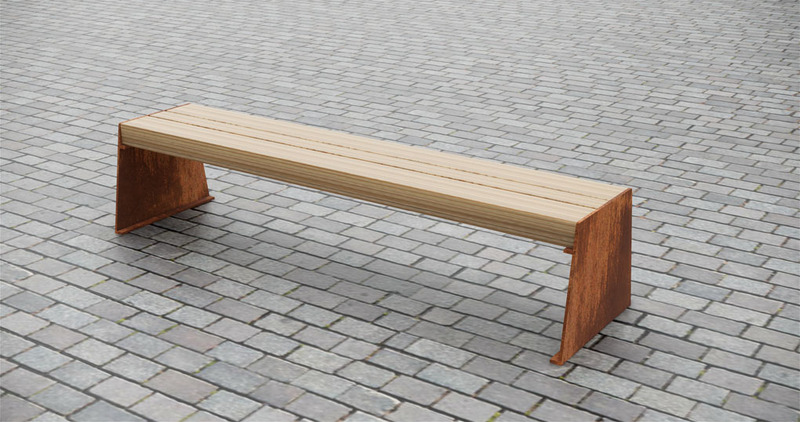 The seats are made in either locally sourced Larch, Accoya wood, Oak, Charred Oak or FSC Iroko. 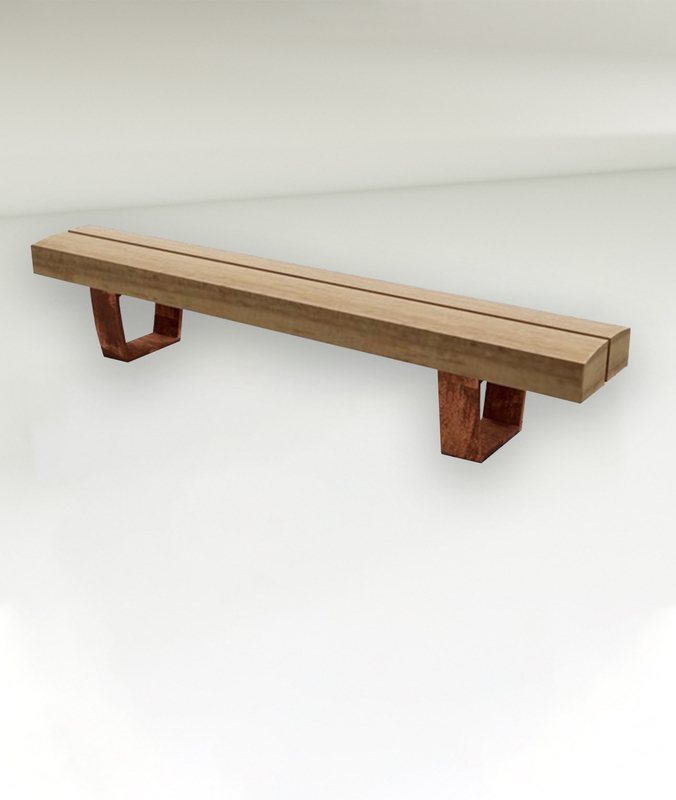 We can fit a choice of anti-skate studs to any of our bench seating. 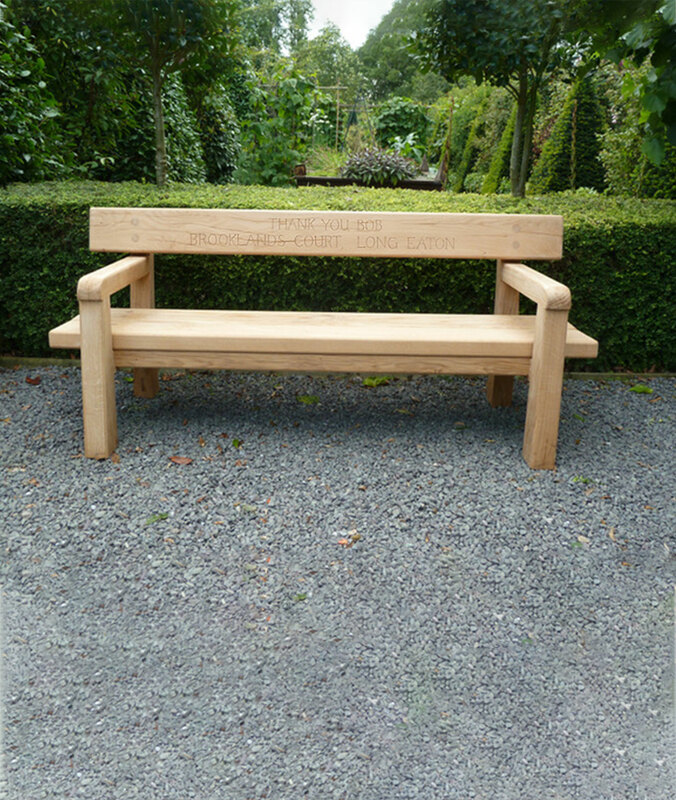 As with all of our work, the benches are made to order and can be altered to suit your needs. Please don’t hesitate to contact us to discuss your requirements.